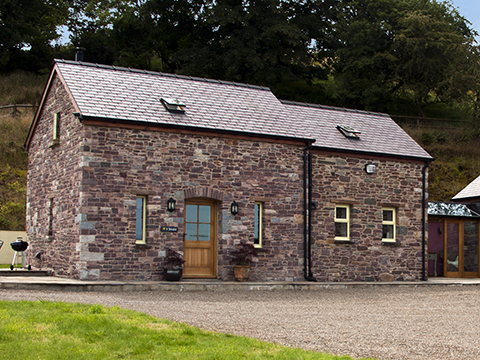 A stylish and comfortable stone barn with more than a touch of luxury! Spacious, well equipped kitchen, comfortable living space and 2 bedrooms. 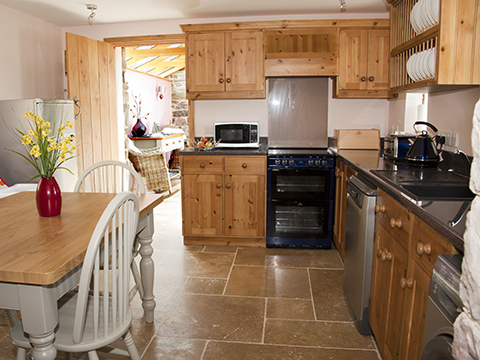 The Stable is generous accommodation for up to 4 people. 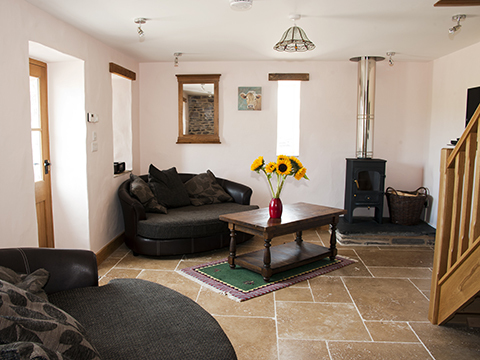 The Terrace with good quality garden furniture, hot tub, garden and BBQ are fantastic for outdoor relaxing and the games room is perfect for when the weather is less than perfect. 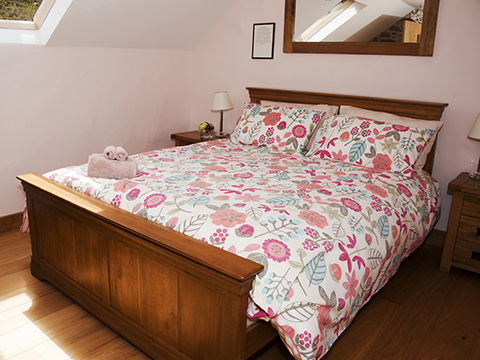 Quality duvets and pillows, not feather to cater for anyone with allergies. Logs for the wood burner included. Fire-guard and stair-gate for children’s safety. We do accept 1 well behaved dog. kitchen equipment. An oak dining table and chairs to seat 4 people. Bedroom 1: Llyn-y-Fan-Fach after the Lady of the Lake Legend. compliment the story with a blue water theme. 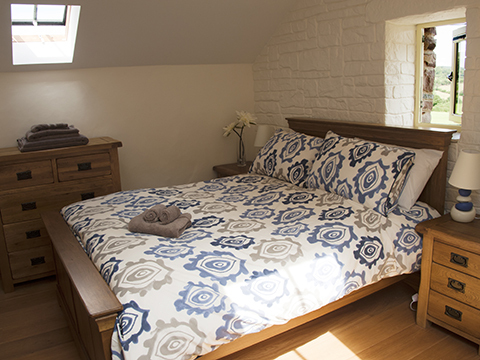 Bedroom 2: Twm Sion Catti - the Welsh Robin Hood. again with a lovely, especially chosen design to compliment the room.